Many recent studies show that organic food contains higher levels of essential nutrients, vitamins and minerals and less toxins than non organic food. 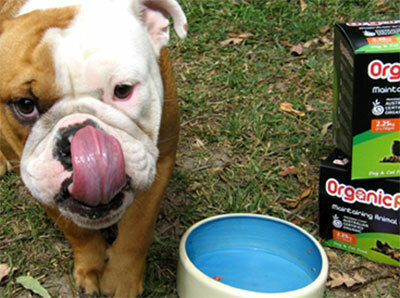 Organic Paws raw meat recipes are naturally nutritionally balanced and biologically appropriate for cats and dogs. All of our meats/livestock used are 100% grass fed and contain no artificial pesticides, chemical fertilisers, antibiotics, growth hormones, bioengineering (GMO’s), chemicals, preservatives or synthetic contaminants of any kind. 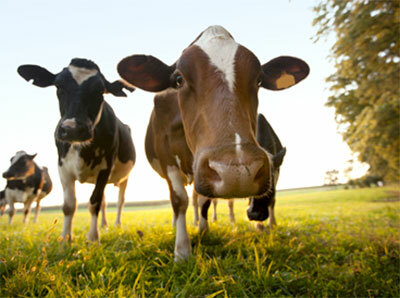 Many non organic meat and meat products available today contain trace residues of many or all of these toxins, and when consumed on a regular basis can build up in the body weakening the immune system and eventually develop into degenerative diseases like kidney, liver and heart failure, cancer, allergies and chronic skin conditions. 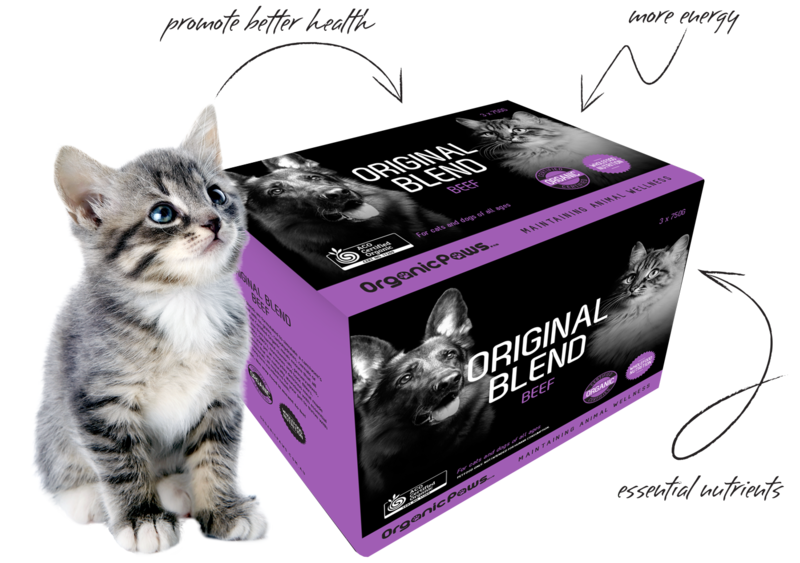 Nutrient rich organic food like Organic Paws can only be guaranteed of its purity through “Organic Certification”, giving the consumer verification that the food is safe, naturally nutritionally dense and completely free from toxic pollutants. 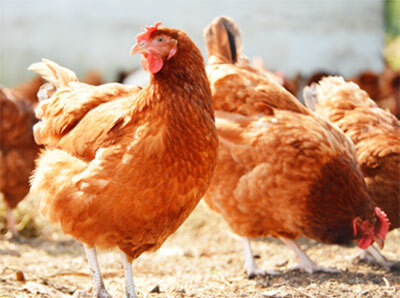 The benefits of feeding you pet a Certified Organic Raw Meat diet are noticeable almost immediately. More energy, leaner body mass, healthier skin, nails and ears, cleaner teeth, healthier gums, fresher breathe and reduced stool volume are all changes you will notice as your pet thrives from eating organic food rich in essential nutrients. The rich vitamin and mineral content of organic food will also improve the softness and luster of your pets coat and dogs will loose that “doggy smell”. 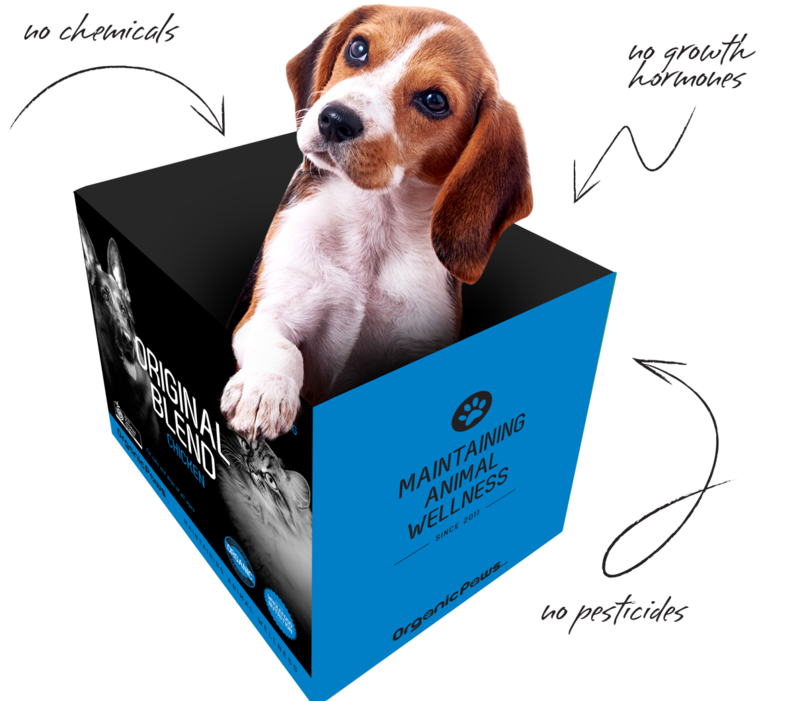 Your pet will develop a stronger and healthier immune system which provides a greater resistance to infections, allergies and diseases. The benefits eating certified organic food are endless but to your pet it will taste instinctively better and more satisfying. Feeding your pet certified organic food will not only improve your pet’s quality of life but will also maximize your pet’s life expectancy. Organic is the way food is meant to be.